Veggie trays don’t have to be boring! Follow our simple suggestions for How to Build a Better Veggie Tray that your guests will devour. 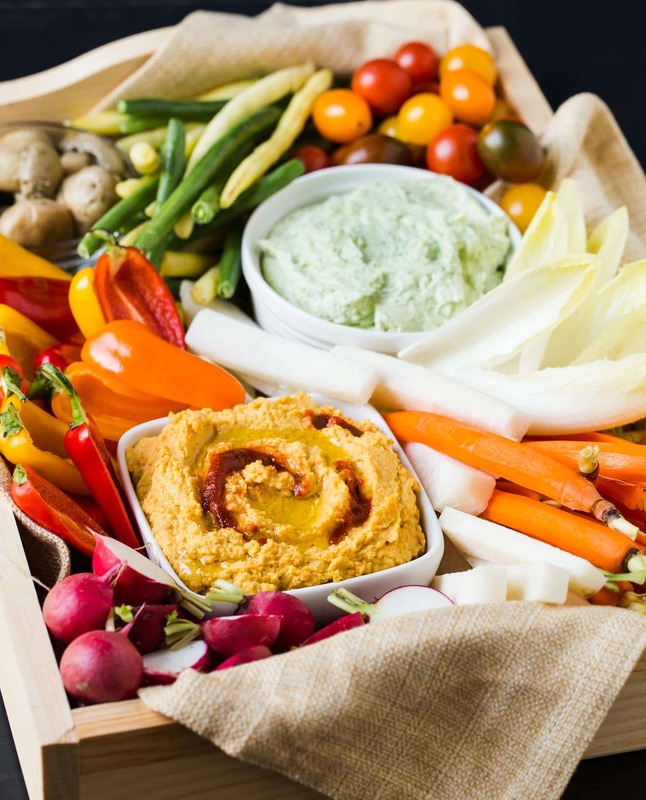 Veggie trays are one of the most popular items to bring to a potluck or make as an appetizer because they are easy to put together and have nearly universal appeal. But even a die-hard veggie lover can grow weary of the same old carrots, celery and dill dip after a while. 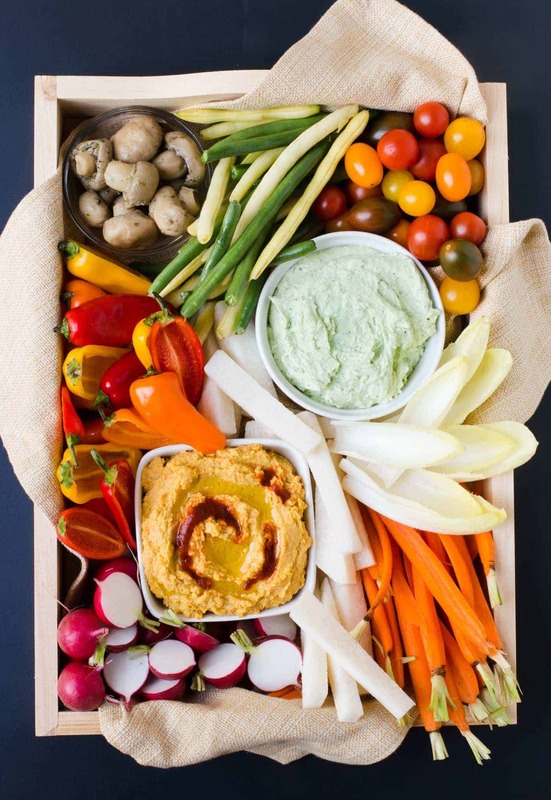 Shake up your platter and wow your guests with our simple suggestions for How To Build A Better Veggie Tray. Using seasonal veggies is your best bet for adding fresh, bright color to a veggie tray, but consider versions of veggies you might normally use elsewhere. Belgian endive leaves are usually reserved for salads, but they are the perfect vessels for scooping up dips. Yellow wax beans might be a staple during the summer, but they are still familiar and approachable veggie tray fare. Plus don’t overlook marinated veggies like mushrooms, artichokes or even olives that might often be found on a charcuterie platter but can do double duty on a veggie tray, too. Not everyone enjoys eating raw veggies, so offer up a few options that are very briefly blanched and shocked in cold water to retain their color. This is an especially great choice for veggies like green beans, broccoli and asparagus that most people prefer to eat in cooked form. Keeping a small portion of the greens or stems intact is great to give folks a bit of a “handle” when they are scooping and dipping. Plus it’s a great way to create visual interest on a tray. Size does matter. Make sure your cuts are not only attractive, but they are also purposeful. Veggies should be sized so they can be quickly eaten out of hand or cut into shapes that can easily scoop up dip. Sure, you can bring out a big plate for your veggie tray, but think outside the box (or inside a large handled one, like we did). Other creative serving pieces include wooden cutting boards, shallow wicker baskets, metal trays or even a variety of glass vessels grouped together. Getting creative with your serving pieces will give your guests a whole new appreciation of their veggies. Nothing against the venerable ranch and dill dips, but after putting effort into switching up the veggies, why settle for the same old dips? Add a little heat to your veggie spread with our slightly sweet Carrot Hummus topped with spicy Sriracha. Or keep the flavors more subtle with our 5-ingredient, 5-minute Creamy Goat Cheese Pesto Dip. Offer a couple of options to complement the variety of vegetables you serve. 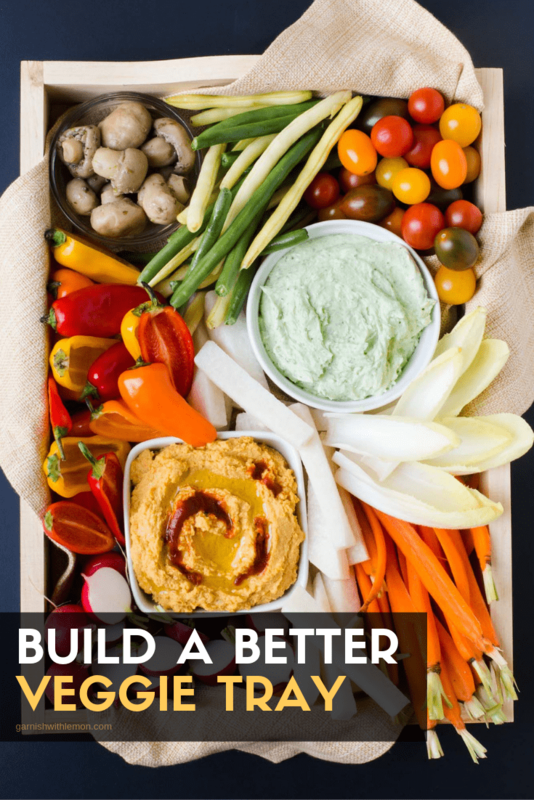 Need more dip ideas to help you build a better veggie tray? You’re in the right place; we love our dips and have LOADS of them on our site. Check ‘em out!